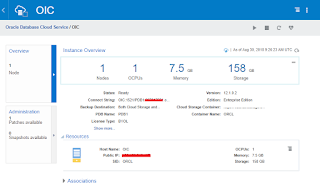 In the previous article, we have provisioned a Oracle Database (DBaaS) instance. 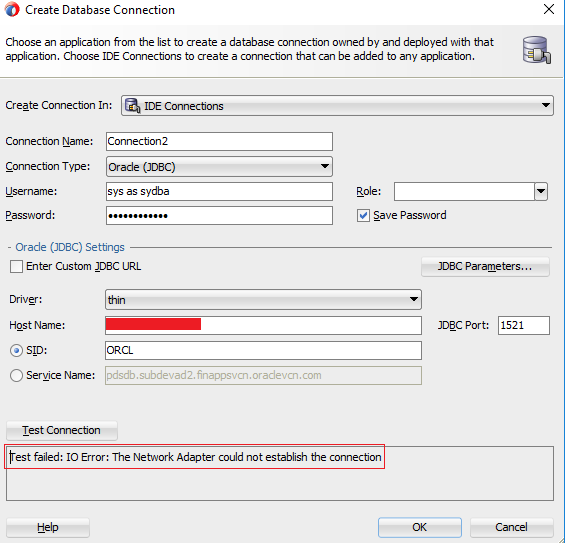 This article will show how to connect DBaaS instance from SQL developer from public network. 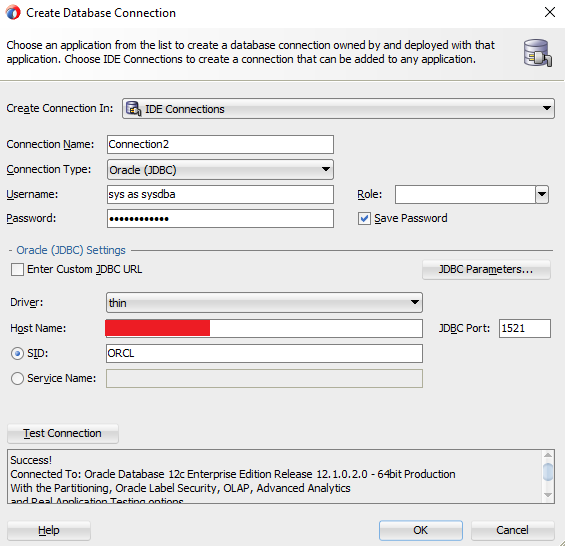 By default, the rule to access the Database instance from SQL Developer is disabled. 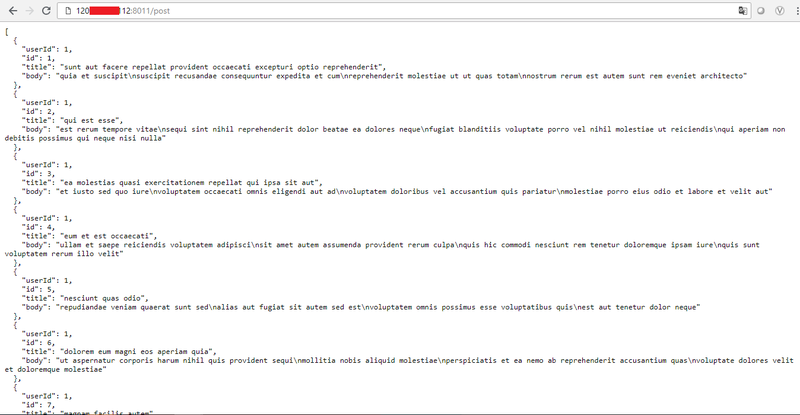 Let's see what happens when we try to connect DB instance using SQL developer before we enable the rule. See the Public IP and try to connect with SQL developer. 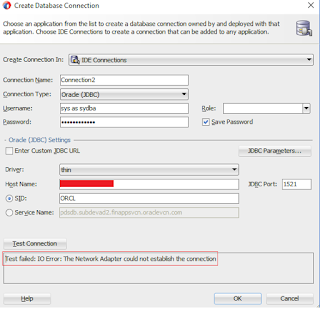 Will get the error "Test failed: IO Error: The Network Adapter could not establish the connection"
The port 1521 is not allowed from the public network. Let's enable the port and try again. When a database instance is created a number of Oracle Compute Cloud Service access rules are created, but set to a disabled status. 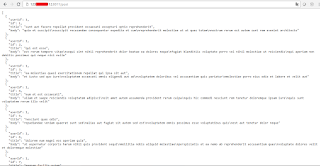 When we enable one of these predefined access rules, the given port on the compute node is opened to the public internet. 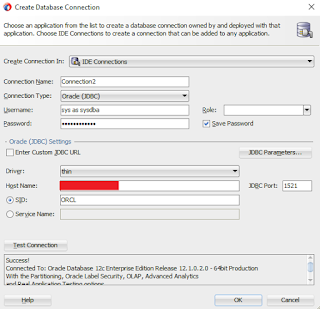 To enable the rule "ora_p2_dblistener", Click on the hamburger menu beside the database service name and Click "Access Rules"
Now try again to make connection using SQL developer, this time connection should be successful. 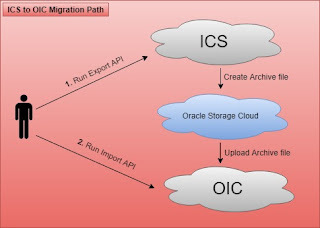 This article is written to show how to migrate ICS artifacts including Integrations, Connections, Lookups, packages, libraries etc. to OIC. Since, ICS /OIC provides the export and import feature but this is limited to single integration at a time. What about, if there are 100's of integration which are there in the ICS and wanted to migrate all integrations once. To do so, there is Clone utility which is provided for bulk export all the integrations, connections, packages, libraries and other artifacts from ICS to OIC. This clone utility is the set of REST APIs in ICS / OIC. ICS provides REST APIs to bulk export ICS artifacts and OIC provides REST APIs to import these exported artifacts. Note the value of REST Endpoint (Permanent) which will be used while running the import/export API. This is the storage URL. A container will be created with the name "ankur"
Note: Storage URL will be constructed by appending the container name (ankur) which we created in the previous step with the Storage-URL which we noted from the value of REST Endpoint (Permanent). Either "RUNNING" or "COMPLETED" status will be fetched from the above API. In the worst case, we may see the status as "Failed" in case the job fails. 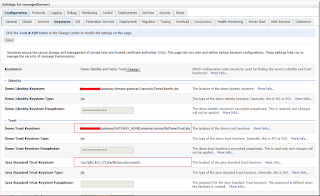 Download the diagnostic logs from ICS and see the Admin server logs to diagnose the issue. Once the archive file generated successfully, the archive file can be imported into OIC via the REST API "https://OICSserver/ic/api/common/v1/importServiceInstanceArchive"
Once the job is completed, login into OIC instance and sees the artifacts should be imported successfully. 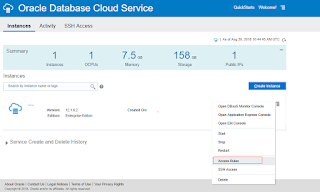 This article will explain how to create the Oracle Integration Cloud instance and access it. 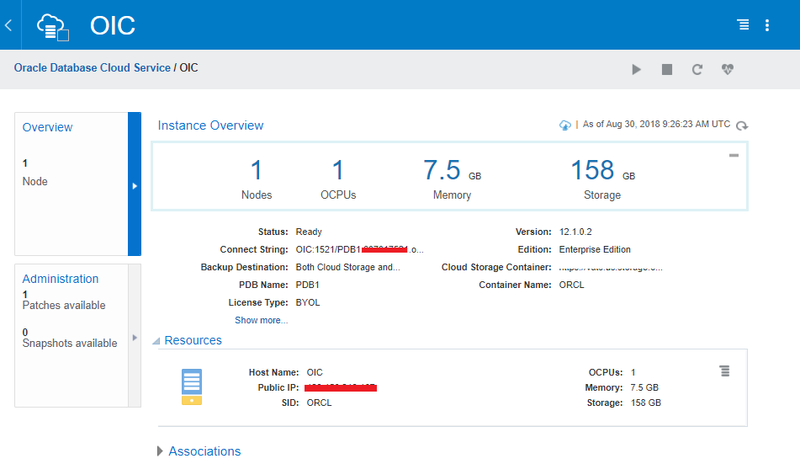 Once we have setup the cloud DBaaS instance, we can move forward and create the OIC instance. Select an option for accessing service host access. This key is used for authentication when connecting to the instance using a secure shell (SSH) client. Integration Analytics: Installs Integration Analytics, which includes Stream Analytics and Integration Insight. 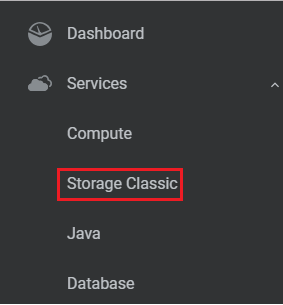 Select this check box to automatically create a storage container during Oracle Integration Cloud provisioning. This drop down will show all the DBaaS instance which are there in the services. Specify the service name of the pluggable database (PDB). Provisioning the instance will take at-least 1 hour. Once created successfully, you will receive the notification. In most of the cases, we configure back-end services in API CS which are SSL enabled. So while invoking such service via browser or POSTMAN tool, we face a generic error "Internal Server Error" which is very difficult to figure out the root cause of the error. In this blog, we are going to handle such a situation and show how to resolve this. The solution of the issue is to import the back-end service SSL certificate chain into the WebLogic Keystore of API CS physical Gateway node. In above screenshot we'll notice that WebLogic is using two keystore files to validate what is cert Weblogic needs to trust. We can import downloaded cert into either of DemoTrust.jks or cacerts file. 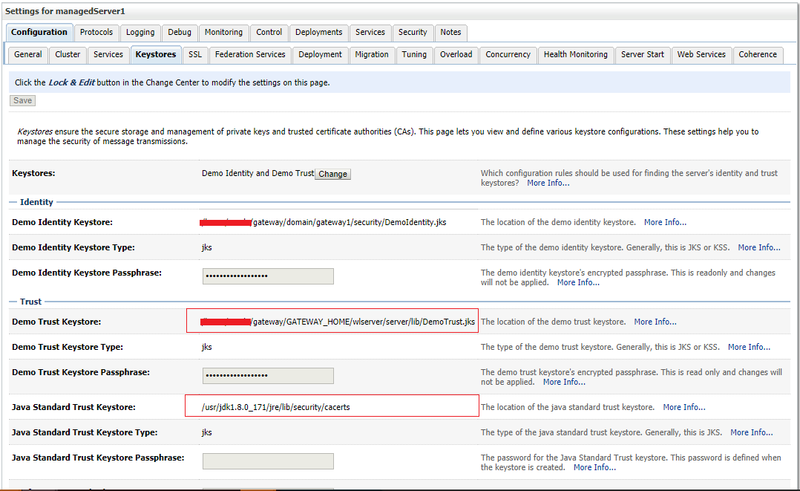 In that case, we are importing the downloaded certificate into DemoTrust.jks file. This concludes that, if we need to invoke any SSL service via API CS, the associated back-end SSL certificate must be imported into the WebLogic keystore. There are scenarios where we wanted to add or subtract n number of days / hours / minutes in current date and time in Oracle Integration Cloud Service. So to meet the requirement, we are writing this article which will help user to get the expected date and time. In this article we'll create a Scheduler integration and print the calculated date and time in logger. Note: "30D" means 30 days. Notice the minus (-) operator between two functions which will minus the number of days. Just Save the expression and come out from the Assign activity. Now add a Logger activity below the Assign activity and print variable Date1. Run the scheduler and see the date should be printed which is 30 days prior of current date and time. Note: "5H30M" means 5 hours and 30 minutes. Notice the plus(+) operator between two functions which will plus the number of hours in current date and time. Run the scheduler and see the date and time should be printed which is 5 hours 30 minutes ahead. Similarly, we can add / subtract number of days or hours in current date and time.